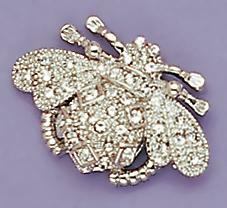 Another great Bee Pin with pave set Austrian clear crystals in a gold finish setting. Measures approximately 1.5 inches wide. Please note it is now in a gold setting.